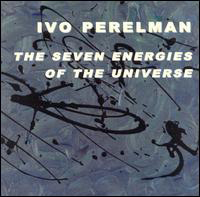 Two energetic free jazz trios here; one led by Ivo Perelman, who is a bankable name despite not quite having had the big success that some of us hoped a couple of years ago (“the next David S Ware”, some people said, but Ware had become far more accessible than Perelman, and anyway he hardly made it into the celebrity stratosphere afterwards). The other is led by Siwula, who’s worked with Cecil Taylor along with his bass player on this session. 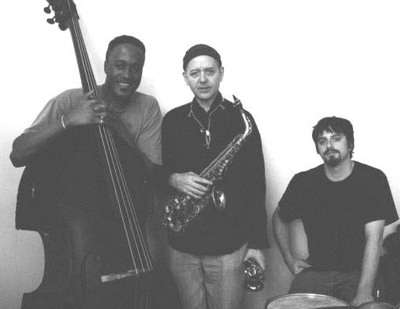 Such things are a little misleading, however; the cult of celebrity, even in such a minority field as free jazz, tempts us to look at the leaders when a jazz trio is or should be a group undertaking, especially such hyperactive ones as these. 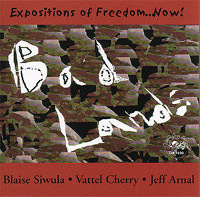 Siwula is that rara avis, a technically progigous free jazz specialist who has genuinely studied and integrated some of the extended techniques beloved of European practitioners. Here he intersperses short but not throwaway solo tracks amidst the five (mainly substantial) trio performances. 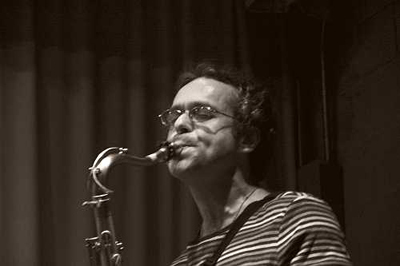 His range goes from straight jazz to the key-popping, reed-rasping effects more readily associated with the likes of John Butcher. He has the strong melodic sense one expects of an American jazzman, however, and the solos work because they tell little melodic stories from a broad palette. That may not sound sophisticated, but it certainly works. The band swing like madmen. Cherry is absolutely in his element here, and Arnal batters his ride cymbal until, at the end, one suspects it would look as if it had been run over by trucks. Cherry’s ability to weave melodic ideas in and out of the dense web of sound they create is a revelation, and his solo statements are eloquent and even, at times, rather magesterial. Above all, his sound is muscular and, unlike so many acoustic bassists in such roqdy company as this, he makes his presence felt as a equal partner in the business of making frantically inventive music happen. As a result, this recording is an absolute joy. Its ability to create and manage astonishing complexity without ending up in cacophony is supernatural, and the capacity for the group to move into quieter but no less dynamic sections, whether to facilitate their own recovery or ours, is impressive too. Perelman is another player with a taste for loud, demanding situations, and trio releases like “The Eye Listens” are easily comparable with the set above. This one, too, is quick and sometimes agressive, but there is a sublety here which was missing from “The Eye Listens” and which is most welcome in Perelman’s work. Perelman can, you see, be an exhaustingly confrontational player. He revels in the extreme high register, in puctuating his playing with screams or grinding, repetitive growls. He plays hard and loud, and expects his accompanists to keep up. This, however, is where Scianni and Rosen really show their quality. Both are perfectly capable of playing fast and loud, but that’s not the hard part, as everybody knows; the hard part is playing fast and loud and co-operatively and with intelligence. It’s what makes this music just about as hard as jazz gets; anyone can do it badly, but it’s terribly, terribly hard to do well. This is just what the rhythm section manage here. Scianni is a revelation, a player of lovely, rapturous things which explode into galaxies of notes at the slightest provocation. Rosen, like Scianni, plays everything pin-sharp, and the recording picks out every details of what they do. This is enormously refreshing compared with the way much free jazz gets recorded, and indeed played, and Perelman is to be thanked for his generosity in giving plenty of space to his collaborators.